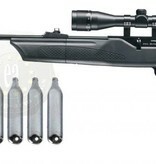 Umarex Air Magnum 850 4.5mm CO2. 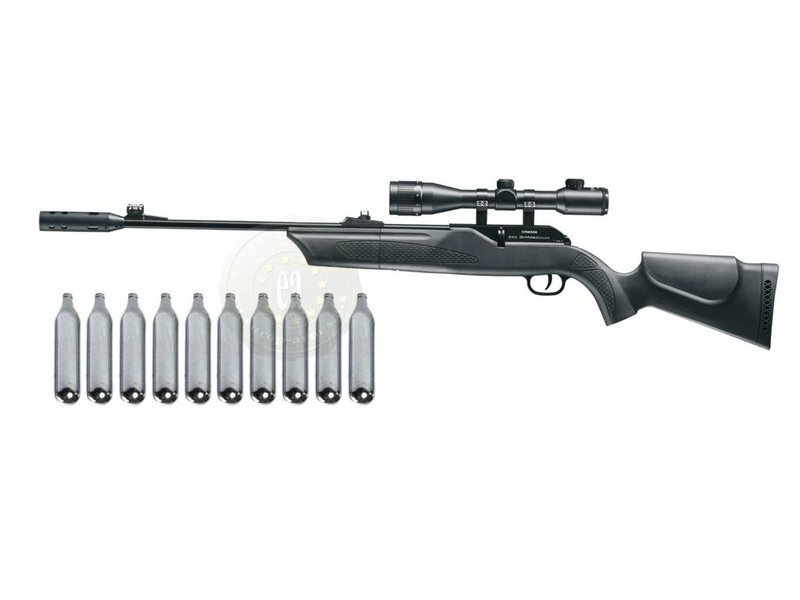 The 850 AirMagnum is a high-tech, fixed barrel, 8-shot repeating rifle that features a uniform, rapid rate of fire at a velocity of 760 feet per second! 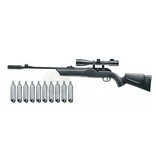 This CO2 air rifle uses a smooth, bolt-action system with a rotary magazine that holds 8 lead pellets. Up to 200 shots can be fired from one 88g CO2 cylinder. Its all-weather polymer stock is ambidextrous with cheekpieces on both sides of a Monte Carlo stock and you'll keep your target clear and hands steady with the 850's fiber optic sights and checkered grips.